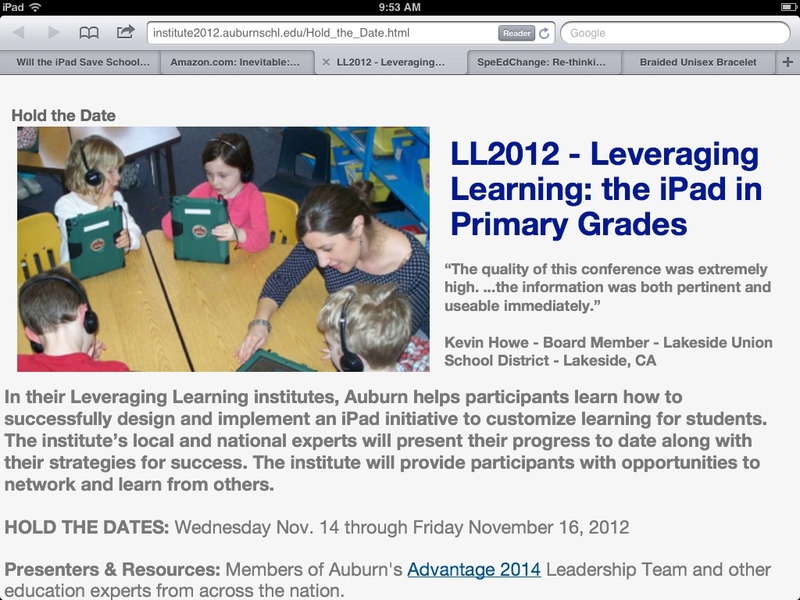 Auburn is hosting its second annual iPads in Primary Grades Institute on November 14-16, 2012. Here are some of the great resources from last Year’s conference. This entry was posted in Advantage2014 - Auburn iPads, Leveraging Learning Institute, Professional Development, Technology for Learning and tagged Auburn, ECE_iPads, iPad on March 14, 2012 by Mike Muir. Can you notify me when the registration is open?